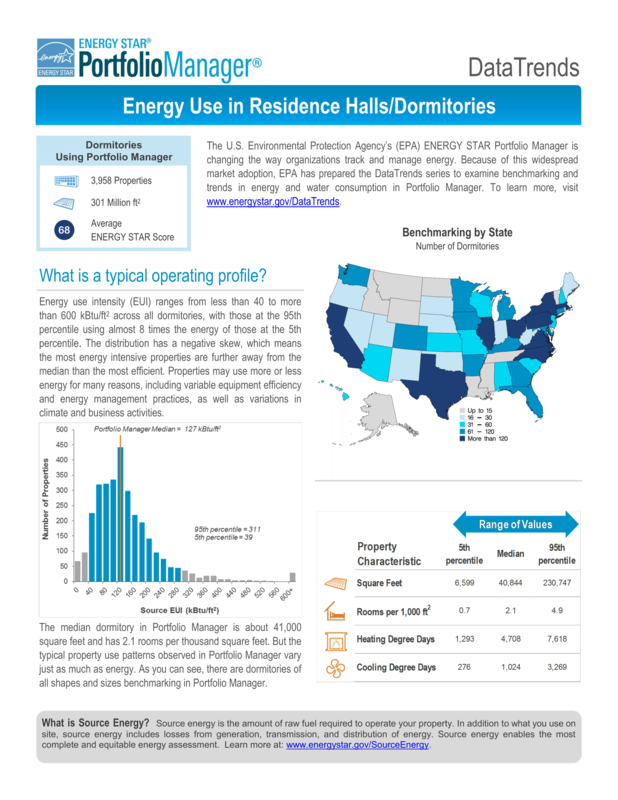 This 2-page factsheet summarizes the energy, operational, and property characteristics of residence halls / dormitories benchmarking in Portfolio Manager. Other statistics are also presented in an easy-to-read format. See what the ENERGY STAR Commercial Buildings Course has to offer by clicking through the presentation for Unit 1 which discusses the multiple benefits of improving energy efficiency, barriers to efficiency together with how to solve them, and how EPA’s ENERGY STAR Commercial Buildings program fits into the efficiency equation. Read through this 2-page PDF to get an overview of the ENERGY STAR Commercial Buildings College course and learn about the advantages of adding it to your syllabus! The ENERGY STAR condensed course offers expanded assignments that instructors can use for additional applied, hands-on learning. These are designed to be utilized as take-home assignments and can be modified as instructors see fit. This two-page handout provides an overview of the ENERGY STAR college-level course, "Introduction to Commercial Building Energy Efficiency Through EPA's ENERGY STAR Program." This one-page document provides a suggested lesson plan for week three of a college-level course on commercial building energy efficiency. This 53-slide PowerPoint presentation is a sample of a college-level course presentation that can be used as part of a course on commercial building energy efficiency.